Just wanted to let you know of this great new listing I have in Pickering. This one is sure to sell fast !!!! 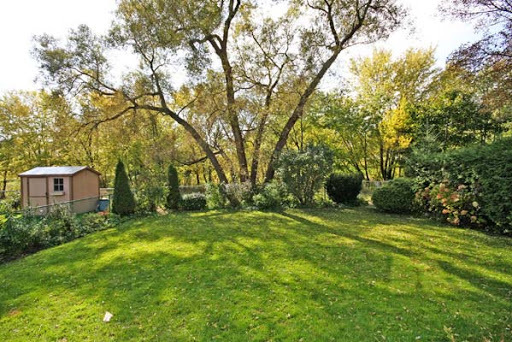 3+1 bdrm detached home on a ravine lot. Nothing to do here but move in and enjoy the 2 fireplaces, completed renovated/updated kitchen, professionally finished basement and a backyard to die for !!!!!! All this for $340,000. You can walk to schools, shopping and public transit. Click on the link to view the inside photos. Not to mention the market is crazy right now. Houses are selling over asking !!! Multiples everywhere. What happened to the dreaded R word !!!! I guess that is over !! Thank God ! With the leaves changing colours and the winter slowly creeping in on us, don’t think now isn’t as good a time as any to list your house. I have buyers and they are all out looking with a vengence for that next new home. So if you are considering making a move any time soon, give me a call for a free no-obligation market evaluation of your home. You might be pleasantly surprised. Have a great day and check in every once in a while to see whats new in Durham Region. Many Clients Are Asking: Should I Purchase My Home Now or Wait for the Market to Stabilize? Many people are debating whether they want to buy a property now or whether they should wait. They are getting mixed messages from the media about the market conditions and the state of the economy. Reports are indicating that the real estate market is rebounding. However, we are still hearing negative news about businesses folding and job losses. So is now a good time to buy? The decision whether to buy a home now or wait is very tricky at the moment. On the one hand you have very low mortgage rates as the Bank of Canada had cut the interest rate several times in the last few months to try and get the banks lending again. Deals as low as 2.75% are being advertised to entice new customers into the market and get the chain moving again. Also, property prices have dropped in the last year and there are many good deals to be made. On the other hand, there is still the question whether housing market prices will hold or drop further. Potential buyers are wary about taking on such a huge borrowing to find that the dream house they have just bought may be worth appreciatively less in six months’ time. House prices are cyclical. A low market is always a good time to buy even though it may be several years before the market rebounds. The property market will rebound. If you are in a position to buy a house and can afford the repayments, buy now. Waiting to buy could result in paying much higher prices in a rising market. Are you really ready?It is also important to consider how long you will be in the home that you are about to purchase. Once you buy the home, it may be very difficult to resell right now. If the market continues to drop and you end up moving and selling in a year, you may have been wiser to wait a bit longer. So that is something that you want to make sure that you consider when making the decision to purchase a home. Of course, if you have a long-term plan to be in the home, the fluctuations and potential decrease in value in the near term doesn’t need to get you down, as the only price that matters is the price you are able to sell for when you need or want to move. Another thing that you need to think about is if you can afford the home that you are considering buying. While prices have dropped recently, you want to make sure that you find a home that is going to fit your budget. As a precautionary measure you should also budget for the fact that the cost of living might rise even further, and that being able to afford these increases will be important. If you have the funds available for a down payment and you are eligible for a mortgage, and feel comfortable about your job security, and currently meeting the rising costs of living fairly easily; then the time is probably right for purchasing property. It is still a buyer’s market, so find your dream home, negotiate your best deal and jump in. Buying property now is one of the best times in the last hundred years to get a bargain !!! If I can help in any way, please don’t hesitate to contact me.